The plane crash that took the lives of three cattlemen and one pilot from central South Dakota was the first of its kind, according to industry experts. 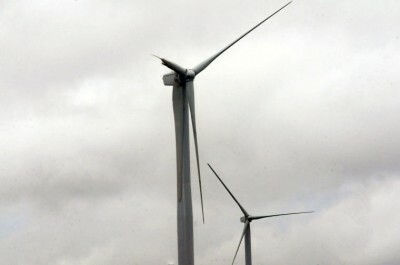 While the investigation by the National Transportation Safety Board is ongoing, South Dakota Wind Energy Association executive director Paul Bachman said the accident was the first plane to ever collide with a wind turbine in the state. Lindsay North, spokesperson for the American Wind Energy Association, said her organization has never heard of a plane colliding with a turbine. The NTSB finished collecting any remaining debris from the crash on Wednesday. The material will be examined by investigators in Greeley, Colo. The single engine Piper was manufactured in 1976 and owned by Donald “D.J.” Fischer, 30, of Gettysburg. Fischer used the plane while working for Air Kraft Spraying Inc.
Fischer, along with Brent Beitelspacher, 37, of Bowdle, Logan Rau, 25, of Java, and Nick Reimann, 33, of Ree Heights, died after the plane crashed into a 300-foot wind turbine. The crash occurred in the South Dakota Wind Energy Center, south of Highmore. The plane was declared missing late Sunday evening. The energy center contains 27 wind turbines, which are owned by Florida-based NextEra Energy Inc. The flight originated in Hereford, Texas, after the four men attended a cattle show on Saturday. According to Hereford city manager Rick Hanna, the men used a self-service fueling station before leaving around 7 p.m. on Sunday. Hanna said there was a terrible dust storm in Hereford at the time. Fischer did not file a flight plan, Hanna said. As of Thursday afternoon, the NTSB did not have any new updates on the nature of the crash or why the plane was flying so low.